Within the financial system, a small event can turn into a major crisis – a systemic event – while a much larger shock may whimper out into nothing. Behind those shocks that become systemic events is the presence of mechanisms that amplify and/or accelerate the impact through the rest of the financial system. the way in which market participants react to each other in times of both relative calm and stress. Both regulators and institutions place limits, or “constraints”, on how market participants are supposed to behave. For example, there is a wide range of constraints on the amount of risk an institution can hold, how it can refinance itself and on the collateral it must hold. These can create a negative feedback loop in cases where a fall in an asset price triggers an obligation to raise cash by selling more assets, which pushes prices down further. In the run up to the global financial crisis, AIG – a US-based international insurance corporation – became the world's largest seller of credit protection in the form of credit default swaps (CDSs), helped by its AAA rating. In the summer of 2008, AIG’s credit rating was downgraded, obliging it to raise capital to post additional collateral at the height of the crisis. This triggered a vicious feedback loop that ultimately led AIG to seek a bailout by the US Federal Reserve. Networks can accelerate and amplify the way that shocks reverberate through the financial system. The nature and extent of the interrelationships between actors and markets influences the manner by which the positive feedback loops grip the entire system. Networks can arise from balance sheet links across financial institutions, such as counterparty risk. They can also be formed through trading patterns, for example resulting from high frequency traders transmitting price changes to hundreds of markets that are used by retail investors and companies, such as exchange rate funds and financial options. Financial networks have been studied ever since modern financial markets emerged. 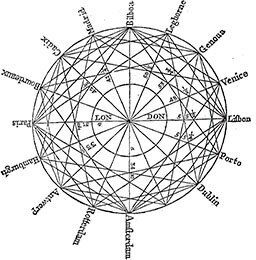 Malachy Postlethwayt, for example, analysed the opportunities for arbitrage profits in the exchange network of Europe in the 18th century, and found that London was at the heart of the world's financial system of the time. social connections in, for example, networks of traders. Laws, rules and regulations that were drawn up ostensibly to bolster financial stability and limit the build-up of risk can often become a channel for amplification mechanisms that have precisely the opposite effect. This occurs when multiple rules have inconsistent objectives and interact in unpredictable ways. Often these perverse consequences can remain hidden until it is too late, and this can occur in particular when policies are drafted hastily in response to a recent crisis. The national – as opposed to cross-border – nature of legal systems and the inability of court systems to cope with the complexity of financial contracts can also be significant amplifiers of systemic risk. A powerful example of this is the way that different parts of Lehman Brothers became the subject of a number of different legal proceedings following the bank’s bankruptcy in September 2008. The bank was “international in life and national in death”. The SRC will build up expertise in amplification mechanisms and the way in which they turn abstract endogenous risk into concrete systemic events. This will further understanding among policymakers and market participants of the nature and identity of these mechanisms.